I know firsthand how powerful working with an outsourced outbound telemarketing sales partner is. I also know how intimidating, overwhelming and daunting it can be. It sounds cliché but outsourcing to an outbound telemarketing partner really can save time and money by delegating labor intensive processes like recruiting and training, not to mention sparing you from other potential headaches like technology challenges. I’ve made a list of 9 distinct advantages I discovered while working with an outsourced outbound telemarketing partner over the years. Outsourcing allows organizations to focus on their core business competencies and can help create a competitive advantage while reducing internal operational costs. The beauty of outsourcing is you can choose to outsource an entire function or only a part of it. Every business has limited resources, and every manager has limited time and attention. Outsourcing can help your business shift its focus from peripheral activities toward work that serves the customer and can help managers tackle their priorities more clearly. The right outbound telemarketing outsourced partner typically has ideas for improvement to increase efficiency after they’ve worked through processes, prospects, and sales funnels. This fresh and necessary perspective is key to quickly accelerate growth. Outsourcing sales can bring in a whole new level of experience in this particular area, along with shared responsibility placed on the outsourced team to help detect and diagnose any issues that will ultimately close deals. In addition to this, my experience has been that it’s well beyond a diagnosis of issues. A great outsourced partner will help problem solve and bring many potential solutions to the table to discuss as a team. It is extremely important to have a strong sales team in place. This team includes sales reps who can handle various stages of the sales cycle. Outsourcers do this all day, every day, so they have sales training expertise and the ability to ramp sales teams down to a science. The right outsourced partner that specializes in outbound telemarketing can take good salespeople and make them great. For you, this means less time and money spent on experimenting with training programs and new hires that may not yield results. Outsourcers know how to hire, motivate, and retain the very best sales representatives for a specific product or service, which translates to higher sales volume for you. They likely have access to different geographical regions and/or can hire from anywhere, depending if they offer remote positions. Training a team of new hires often takes longer than you have time for. Outsourcing with the right partner who specializes in outbound telemarketing solves this problem by providing a scalable sales team that already work together. This is a tremendous advantage given the company already has resources ready to go. If you have shorter projects on the horizon, consider choosing a partner that is nimble and has the ability to scale programs up and down including those projects that have finite timeline for completion. Companies who manage outsourced sales teams have trained a variety of teams with a mixture of sales experience levels to sell a diverse set of products and services. This creates an array of experience and viewpoints to help support your business objectives. Outsourcing part or all of your sales can be a great alternative growth strategy when your company may not have space, capital, or long-term need to hire a full sales team in-house. Because this investment is likely to return incremental sales, it’s a solid bet, and a great way to revive your sales stream when you can’t create and train a full in-house team yourself. Selecting, purchasing and implementing the right tools to support your business objectives can be expensive and time consuming. 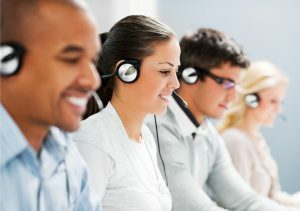 The right outbound telemarketing outsourced partner has the technology and infrastructure established to meet your needs. They are well equipped with both the technical talent and expertise needed to meet your requirements and ensure a smooth project implementation. Instead of tapping into your entire sales organization to enter new markets or verticals, a dedicated outsourced team can help lead the rollout. Most outsourced sales partners have experience in taking new products to market. Separating this from your internal sales teams can reduce expenses and will enable your business to get to market quickly without taking away from your current focus.